The Sonidero Posters are one of the multiple examples of subcultures in Mexico. Sonidero parties arise in low income neighborhoods in Mexico during the 70s, they have been massive block parties where bands perform. 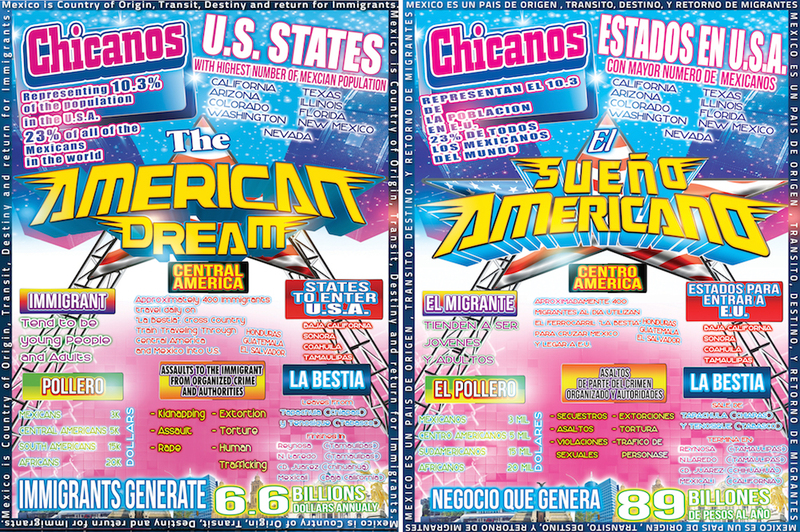 Posters are designed and distributed to promote the events, and the colors, shapes, and placement of the text was used as a major source of inspiration to comment on the four most important factors that should be referenced to explain any socio-political problem in Mexico: Education, Drug Trafficking, Immigration, and Social Classes. The intention is to use design as a vehicle for progress.